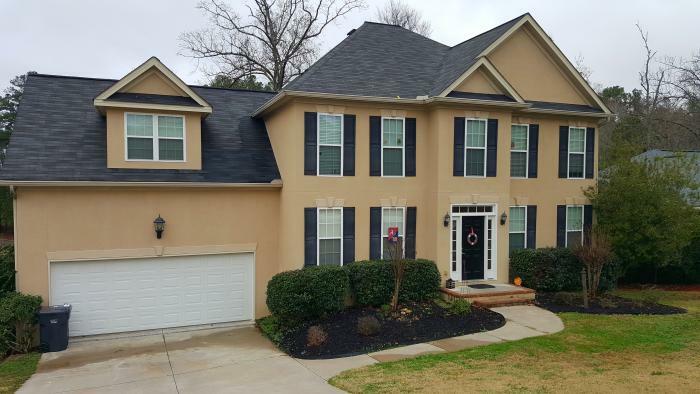 Renting our 5bed 4 bath home in upscale, quiet, safe subdivision in Evans. 9 miles to masters. Can accommodate most requests. 1 king, 3 queens 1 futon 1 couch bed sleeps 2, a twin bunk and extra twin mattress. Tv's in Living room and master bedroom Netflix, vudu, Blu-ray player in Living room, all bathrooms have showers and tub, master has Jetted tub separate shower. Fully furnished kitchen. Laundry upstairs, large closets and dressers for your wardrobe. $1000 a night 4 night minimum maid service extra. $2000 security deposit. Payment due upon booking NO refunds for no shows etc...NO PETS! Call or text for more info or pictures. 2019 Masters and is located 9 miles away from Augusta National.